The Cache Creek Fire is currently burning 8 miles southwest of Rifle. 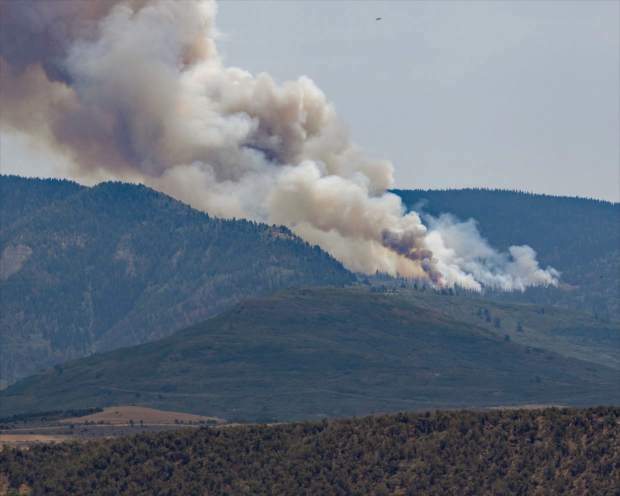 Federal firefighting crews and aerial resources are responding to the Cache Creek Fire burning in heavy fuels approximately 8 miles southwest of Rifle on White River National Forest lands in Garfield County. According to a Forest Service news release, the fire was initially called in at approximately 8:30 p.m. Saturday, July 28. “Due to lack of visibility, crews began suppression operations on the fire early this morning,” according to the release. There are no structures threatened and no evacuations or road closures at this time, the release stated. As of this afternoon, six single-engine air tankers, a Type 1 helicopter and air attack are working to suppress the fire, along with two engines and two hand crews. Air resources are concentrating efforts on the north and east flanks of the fire in coordination with ground crews. Due to aerial operations, drones are also prohibited in the area.